We love a good natural hair tutorial. But after awhile, they all kind of look the same. I mean, there are only so many ways you can film a twist-out, amirite? The spin? 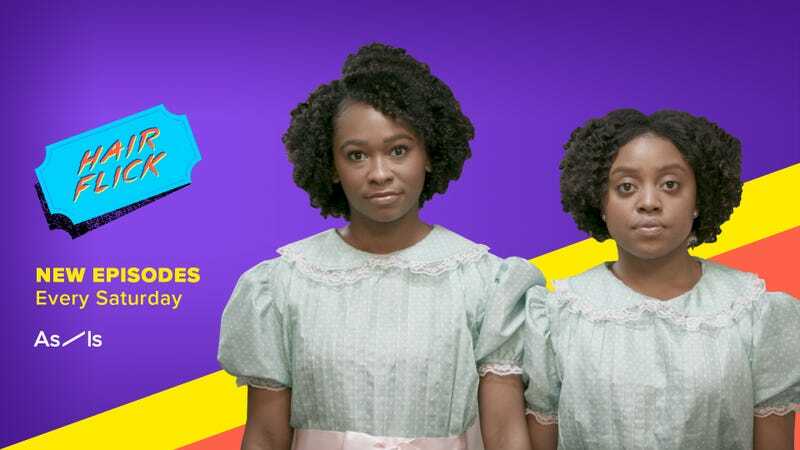 The two natural hair aficionados—and good friends—are starring in Hair Flick, an eight-episode series premiering Saturday, March 30 on Facebook Watch as part of BuzzFeed’s As/Is platform. The brainchild of Brunson and directed by Steven Cantor, “the new series marries the art of film with the beauty of natural hair—filming hair tutorials in the style of influential directors,” reads a statement. Speaking with The Glow Up, Ransome explained that aside from elevating the typical hair tutorial, Hair Flick was born out of a longing for more representation in some of their favorite films, like The Shining or Alfred Hitchcock’s Vertigo. “A lot of these movies—and a lot of just Hollywood, in general—have really great directors, really great cinematic styles and very cool storylines, but a lot of times, you don’t see people who look like us and have hair like us in these movies,” she said, referencing the style of one of her favorite directors, Wes Anderson. BuzzFeed also thought the idea was cool—so cool that they outsourced the pitch to secure the funding they thought the concept deserved, adding to that the talents of their art department, which designed the series’ authentically detailed sets. For those of us who love a great film as much as a perfectly executed curl pattern, it’s a match made in cinematic heaven, as well as a welcome opportunity to see two of our faves collaborate—an opportunity Ransome tells us she and Brunson had long been looking for. On deck? Brunson (a 4c) and Ransome (3c)’s takes on twist-outs, wash-and-goes, and more—along with their takes on Anderson, Stanley Kubrick, Charlie Chaplin, and more. The best part? Seeing people who look like us given the full cinematic treatment of some of our favorite moments in film.